I-75s to Richwood Exit – Right on Richwood Rd – Right on Paddock Dr – Left on Mustang. 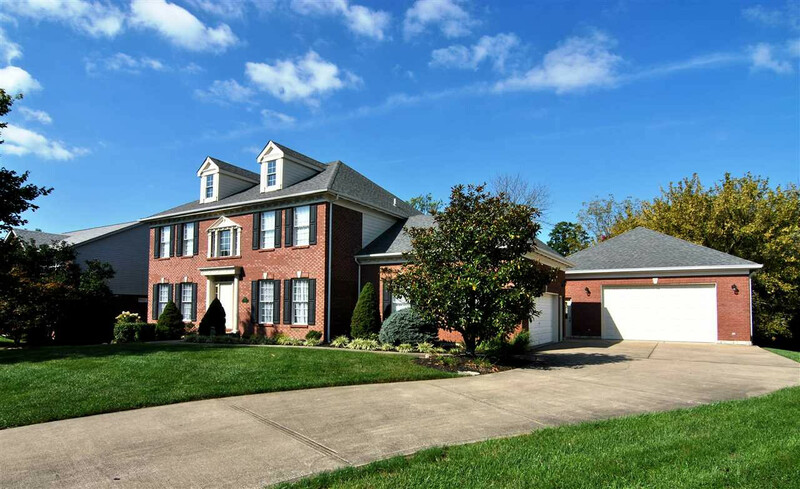 Amazing Quality located in Ryle School District! You’ll love this custom-built brick wrapped home boasting of an open floor plan-soaring 2 story entry-multiple tray ceilings-crown molding & chair rail-cherry hardwood floors-brand new carpet-oversized master suite with separate soaking tub & shower, dual vanity & multiple walk in closets-finished lower level with walkout & full bath. You’ll make your neighbors jealous with the amazing 35x40 brick wrapped garage!